Sound: Fantastic product! Easy to use...can't say enough good about it. One of the guys in the band let me use a Morley pedal, but I had some noise problems with it. Once the Boss pedal was connected, no more noise issues & everything worked great. Feature: No accessories... Ease of Use: E-Z setup! Quality: Well-made...no problems. Manufacturer Support: Haven't had any issues...service from zZounds is great, too. (I called zZounds prior to placing order on-line.) The Wow Factor: Definitely a practical addition to my keyboard setup. Overall: I'd definitely buy another one, whenever this one wears out. Boss was recommended to me as a producer of great products, & he was right. I play a Roland keyboard & had used a Bespeco volume pedal for over 10 years. I definitely prefer the Boss pedal & will stay with that from now on. I like the fact that the Boss pedal doesn't require a battery, as the Morley pedal did. 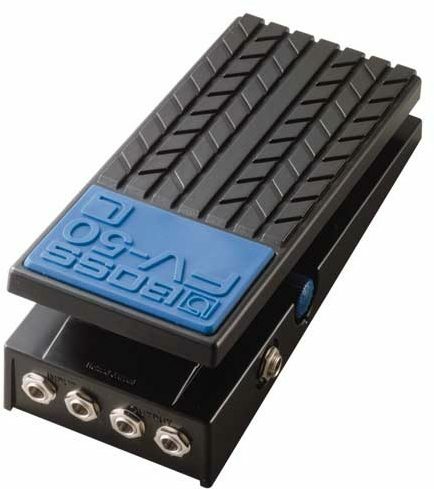 "Good Pedal for the price"
Overall: I just received this Boss Volume Pedal and am using it with my Korg Krome and King Korg Synths. Decent pedal for the price. Nice feature to have two inputs and outputs so I can control volume of both of my keyboards through one pedal. Cuts down on needing a second volume pedal. Built good and so for no issues. I give it a solid A on value and quality.